Nobel Group Interests adheres to all applicable Swedish and EU law. We never store or process personal information unless we have explicit consent, we have conducted a Legitimate Interests Assessment, we are required to process your personal information according to law or when it is necessary to fulfill an agreement with you. Our legitimate interest of processing your personal information on the basis of a Legitimate Interests Assessment is to inform about our activities, administer events, web sites, and networks and to document and communicate our events. Personal information is never stored longer than what is deemed necessary to fulfill the purpose for which it was collected. Personal information that we process on the basis of a Legitimate Interests Assessment are normally processed for the period that is necessary for fulfilling the purposes of the processing. Personal information that we process for the purpose of fulfilling an agreement with you are normally processed for the duration of our agreement and for fifteen months after expiry of the agreement. To comply with legal obligations or because you have given your consent we may keep your personal information for a longer period. If you would like to know which of your own personal information we process, you are welcome to contact us. You can request your personal information to be corrected. You have the right to fully or partially withdraw a given consent regarding the processing of personal information at any time, with effect from the time of the withdrawal. the data is being treated in an illegal way. you have withdrawn consent to the processing. You can request that our processing of your personal information is limited. You always have the right to decline direct marketing at to object to all treatment of personal information that is based on Legitimate Interests Assessments. If we base our processing on consent or to fulfill an agreement with you, you are entitled to receive the personal information concerning you that you have provided to us in a structured, commonly used and machine-readable format and have the right to transmit the personal information to another data controller. As a general rule, we and our suppliers and partners process your personal information only within the EU/EEA. In cases where personal information are processed outside the EU/EEA, we base the processing either on a decision from the European Commission that the relevant third country ensures an adequate level of protection, or appropriate safeguards, e.g. standard data protection clauses, binding corporate rules, or Privacy Shield, to ensure that your rights are protected. If you wish to receive a copy the safeguards taken by us or information regarding where these safeguards have been made available, please contact us in accordance with the below. Nobel Group Interests manages several web sites, such as nobelprize.org and nobelcenter.se. This policy applies to all sites so operated. We offer a number of services that do not require you to sign up, register, or provide any personal information to us. In order to provide our full range of services, however, we may in certain cases ask for and collect personal information in different ways. Some of the services, such as certain educational games and interactive services, require registration. To use these services, we may ask you for personal information and an account password. Other services (such as the options to evaluate and rate our content) may give you the option of providing personal or demographic information, such as your e-mail address, name, address, ZIP or postcode, age, gender, preferences or favourites. You can decline to submit personal information to any of our services, in which case the site may not be able to fully provide those services to you. E-mails or other communications that you send may be retained in order to process your inquiries, respond to your requests or improve our services. We collect information about your visit, including the pages you view, the links you click and other actions taken in connection with sites and services. We also collect certain standard information that your browser sends to every website you visit. See Web analytics below. Information collected through one Nobel Group Interests service may be combined with information obtained through any other Nobel Group Interests service. Except in connection with the Tell a Friend-service, as described below, we do not combine data entered by you (such as an opinion or rating) with personal data provided by the browser (such as the IP address). operating and improving our site to deliver the services you have requested. These uses may include providing you with more effective customer service. Personal information collected on our sites and services may be stored and processed in Sweden or any other country in which Nobel Group Interests or its affiliates or agents maintain facilities. Storage and processing are in adherence with applicable EU law. to make it easy for visitors to bookmark and share content to their favorite social destinations. When you visit our sites, we record some standard information about your visit. This information helps us to measure the popularity of our documents and to understand how traffic flows through our site as well as to assist us in planning new content materials. We do not create individual profiles of visitors but only collect aggregate data. These server logs include information such as your web request, IP address, browser type, browser language, the date and time of your request, referring webpage, plug-ins installed, screen size, search terms and one or more cookies that may uniquely identify your browser.The log files are analysed by standard Web analytics programs. In this process the information is non-personalized. We do not track individual visits unless you specifically ask us to do so (i.e. for solving certain problems) or if our security is violated. The log files are retained for as long as is necessary to perform the analysis described above, but in no case for a period longer than 18 months. This policy applies to web sites and services that are owned and operated by Nobel Group Interests. We do not exercise control over sites displayed as links from within our sites. Or sites may present links in a format that enables us to keep track of whether these links have been followed. We use this information to improve the quality of our services. 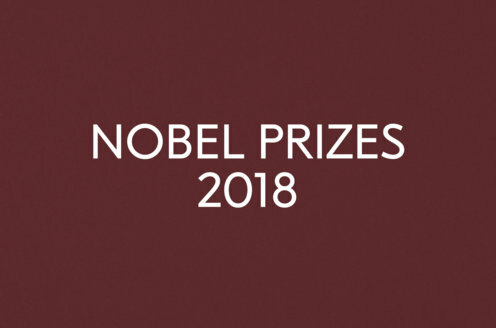 Nobel Group Interests arrange several events, such as the Nobel Prize Award Ceremonies, Nobel Week Dialogue, Nobel Prize Teacher Summit, Nobel Prize Inspiration Initiative, and other programs. The information we collect depends on the event. We only collect information necessary to fulfill our obligations to you, and to ensure proper identification. All information is collected from you upon registration. In the case of repeated events, we may store your information to be able to invite you again. We do not collect information from third parties. We also use photography, video and audio recording to publicly promote events and to share events remotely with those who are unable to attend in person. This material is also used in our communication efforts and to provide an archive of the events. Nobel Group Interests communicate through several newsletters, such as nobelprize.org Monthly, and hosts several networks, such as Nobel Prize Education Network. The information we collect depends on the newsletter or network. In general we only collect e-mail address, but in certain cases we also ask you for name and profession. We only collect information necessary to fulfill our obligations to you. All information is collected upon newsletter/network registration. We do not collect information from third parties. communication in networks of which you are a member. We have a good-faith belief that access, use, preservation or disclosure of such information is reasonably necessary to (a) satisfy any applicable law, regulation, legal process or enforceable governmental request; (b) detect, prevent, or otherwise address fraud, security or technical issues; and (c) protect against imminent harm to the rights, property or safety of Nobel Group Interests, its users or the public as required or permitted by law. We may share with third parties certain pieces of aggregated, non-personal information, such as the number of users who searched for a particular term, for example, or how many users used a particular service. Such information does not identify you individually. Your personal information may further be shared with parties that process personal information on our behalf, i.e. data processors. Such data processors are, amongst others, our IT and system suppliers. Your personal information may also be shared with parties that are independent data controllers when processing your personal information, such as, when applicable, partners, and police authorities (in connection with events). performing internal reviews of our data collection, storage and processing practices and security measures, as well as physical security measures to guard against unauthorized access to systems in which we store personal data. If a password is used to help protect your accounts and personal information, it is your responsibility to keep your password confidential. If you are sharing a computer with anyone you should always log out before leaving a site or service to protect access to your information from subsequent users. If you have any complaints regarding our processing of your personal information you have the right to lodge a complaint with the Swedish supervisory authority Datainspektionen or any other competent supervisory authority that monitors enterprises’ processing of personal information. If you have any questions about this policy, or believe that we have not adhered to it, please e-mail us.